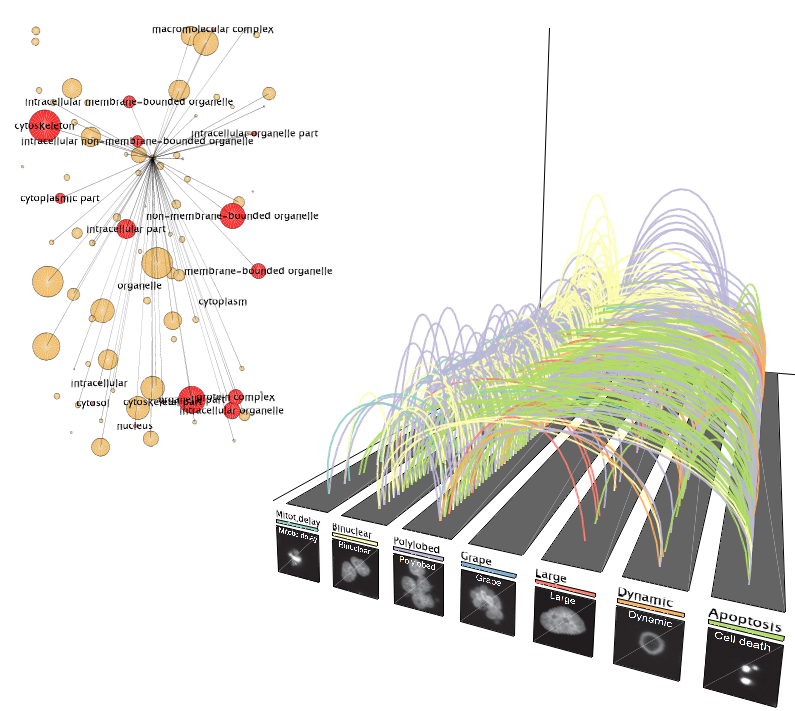 Mapping phenotypic transition patterns throughout the cell cycle. 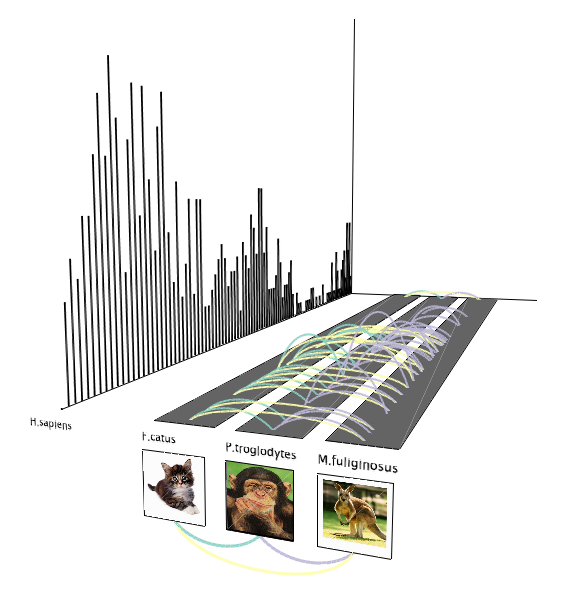 Orthologous transcription peaks within the cell cycle for three organisms. 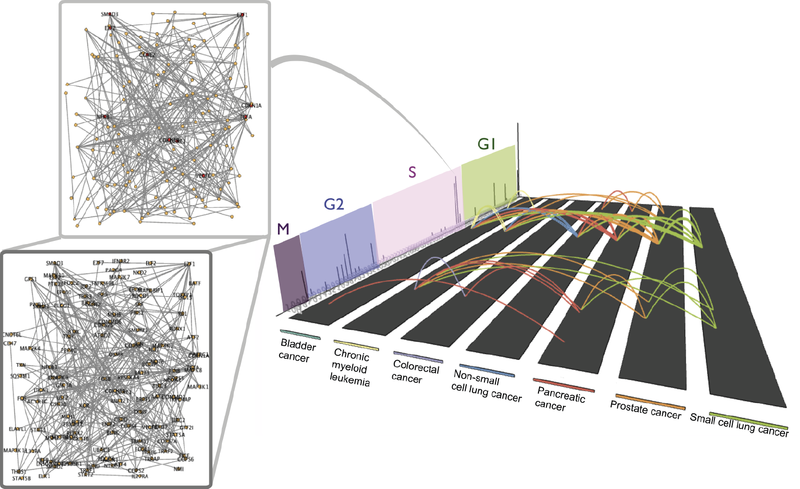 Genes highly transcribed throughout the cell cycle commonly affecting cancer pathways. 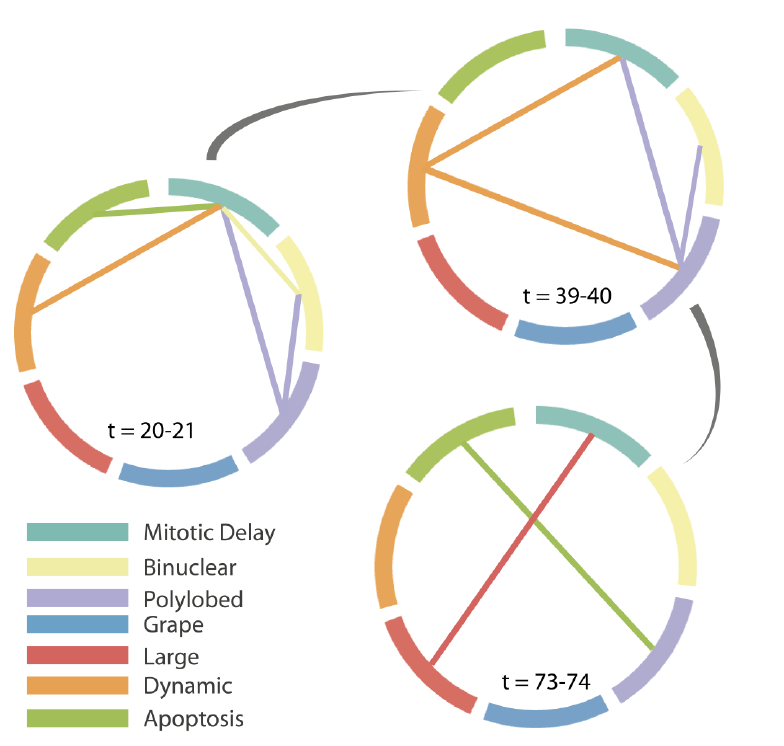 Circular view of phenotypic transitions at selected time points. Read about the features of the tool. Demo on how the tool works.